Earn 13.75 Weta Dollars! What's this? 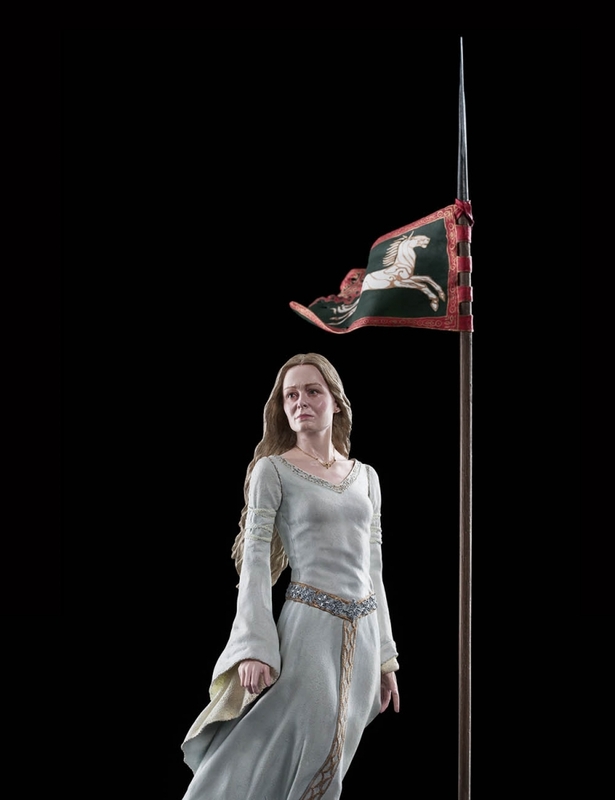 Brave and indomitable, the Lady Éowyn of Rohan despairs at her king and uncle’s slide into torpidity. Rebuffing the advances of Gríma Wormtongue, his serpentine councilor, Éowyn beseeches her uncle throw off his languor, but King Théoden lies under a dark enchantment. The king’s wits have dulled and his body is withered by premature age. 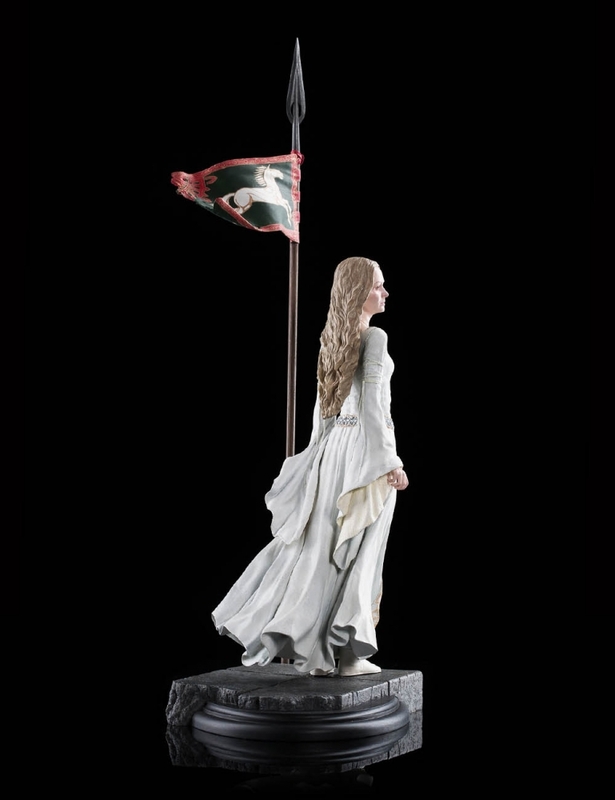 With her brother Éomer banished and the king’s own son dead, Éowyn sees her enemies closing in about her. Once a proud and powerful nation, the poisons of Wormtongue have perilously weakened Rohan in the face of rising threats from Mordor, and now Isengard as well. 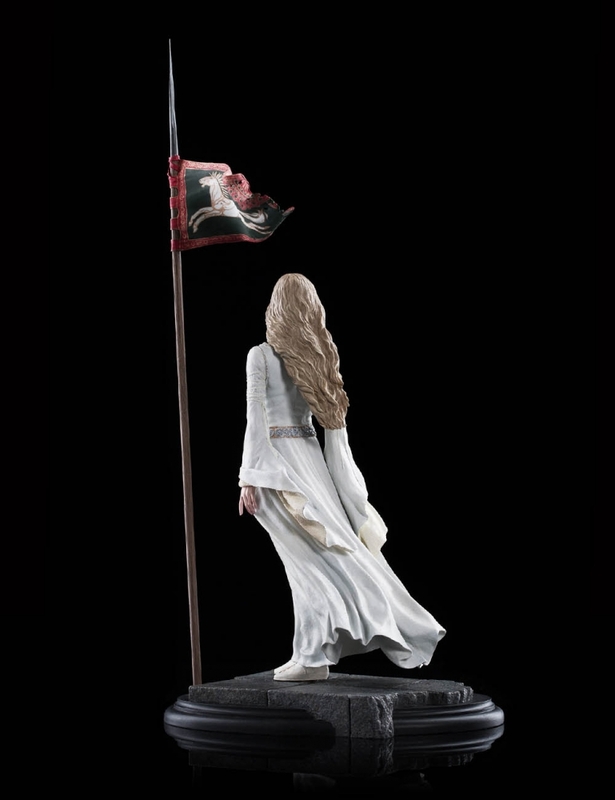 Escaping the stifling shadows of the once merry Golden Hall for the bright air outside, Éowyn stands upon the steps of her kingdom, her fierce heart soaring free upon the wind. 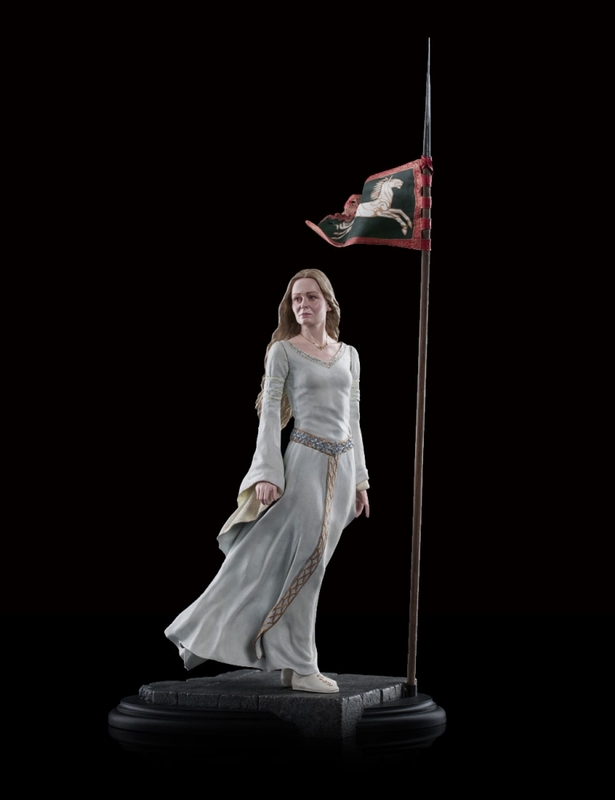 A shield maiden of Rohan, she will suffer no captivity, but alone among her foes, the Lady of Rohan must choose her course carefully. Weta Workshop’s high-quality collectibles are made by the very same artists and technicians who work on our movies.